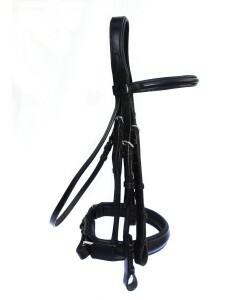 The « mounted » Training Aid by excellence, the ideal complement to the Le Rolland PLR Original Training Aid ! - The PLR « Howlett » Training Aid starts from the girth, passes through the ring of the bit and is fixed to rings set on the reins. - Once your horse in position on its 2 reins, the PLR « Howlett » Training Aid becomes then discreet, preventing him from passing above the hand. 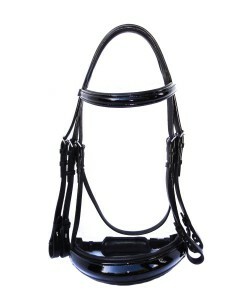 - This combination martingale/reins also offers the advantage to the rider of having only one pair of reins in hand ! 2. A leather strap part which receives the girth, part then split in 2 and that passes into the rings of the bit. 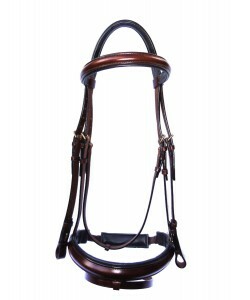 Each extremity ends by a stainless steel snap hook which is fixed to one of the rings of reins. As a martingale, a necklace maintains the set in position. 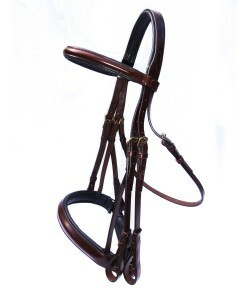 N.B : From a certain degree of tension on the reins, the bottom strap that slides through the bit stretches out, and incites the horse to put his head down. 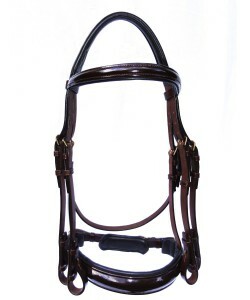 Following to the head setting required, the snap hooks are fixed on one of the 3 rings of the reins. 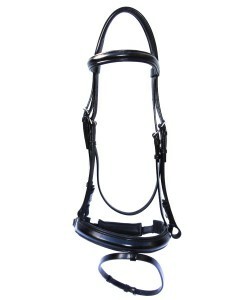 - Training Aid made in premium leather with canvas and leather reins, stainless steel snap hooks and rings. - Easy set up for a very simple use. - The rider holds only one pair of reins in his hands. - The PLR « Howlett » Training Aid is used mounted. 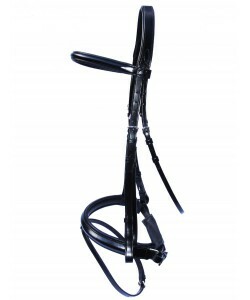 - It is the perfect complement to the Le Rolland PLR Original Training Aid exclusively used for a lunging work.